Can Spondylolisthesis Cause a Herniated Disc? Can spondylolisthesis cause a herniated disc? 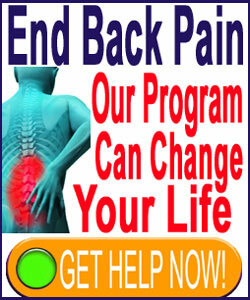 Yes, it can both directly cause and contribute to intervertebral herniation. Many listhesis patients demonstrate disc abnormalities in the spinal levels immediately surrounding their migrated vertebral bones. Meanwhile, others demonstrate intervertebral disc irregularities at related areas where stress is abnormally applied to the spine to maintain overall stability of the backbone in order to compensate for vertebral listhesis. Herniated discs, much like spondylolisthesis, are usually innocent conditions consisting of structural changes to the backbone of a non-pathological nature. However, also similar to listhesis, herniated discs have the potential to become pathological, possibly eliciting a wide range of symptoms in the back and throughout the anatomy using several mechanisms of action, including spinal stenosis, foraminal stenosis and chemical radiculitis. This essay examines the relationship between primary spondylolisthesis and secondary disc herniation in the lower back and neck. Can Spondylolisthesis Cause a Herniated Disc Directly? The simple answer to this important question is “Yes”. Herniated discs can be directly caused by listhesis placing inordinate pressure on the cartilaginous endplates and therefore on the annulus fibrosus of the spinal disc structure. Intervertebral discs are directly attached to the vertebrae above and below and allow these vertebrae to move independently of each other, facilitating the majority of range of motion in the spinal column. Discs are therefore designed and engineered to accommodate motion between vertebral bones to a regulated extent. In cases of mild to moderate listhesis, the disc can usually accommodate the insignificant shift in forward or backward position of the affected vertebral bone. However, as the distance between the vertebrae increase due to more clinically significant gradings of spondylolisthesis, such as 3 and 4, the stress on the disc endplates increases exponentially. This stress is what can create the ideal circumstances for intervertebral bulging, herniation, rupture, migration and sequestration to occur. Can Spondylolisthesis Cause a Herniated Disc Indirectly? Spondylolisthesis can incite scoliosis in rare circumstances, but often creates changes in lordosis or kyphosis in the sagittal plane of the spinal column. These alterations in spinal curvature can stress the discs themselves, as well as the cartilaginous endplates. Listhesis can contribute to vertebral wedging, which is known to accelerate disc deterioration in many circumstances. Severe spondylolisthesis places exponential loads on supportive muscular tissues. These muscles might respond by forming imbalances in antagonistic pairings or by demonstrating chronic tension or laxity. Any of these circumstances can affect the curvatures and stress-absorbing potential of the backbone, potentially influencing the formation of herniated discs. Can Spondylolisthesis Cause a Herniated Disc and What Can I do About it? There is not much that can be done to prevent listhesis conditions from influencing the surrounding spinal anatomy. However, be rest assured that most truly pathological influence is created by severe grade 3 and 4 spondylolisthesis and not typically from lesser grades of vertebral slippage. It is also vital to understand the intervertebral disc desiccation (aka the laughably named degenerative disc disease), as well as intervertebral herniation (aka herniated disc) are both virtually always innocuous structural issues. Disc degeneration is completely expected and universally experienced in adults and intervertebral herniation is virtually so, particularly between L4 and S5, which also happens to be the area of most listhesis events. Patients should not expect pain from most herniated discs and should certainly not expect chronic symptomology from all but the worst examples. Remember that discs feel no pain and can be damaged terribly without any symptoms. The only way that discs can create pain is through neurological compression (via spinal stenosis or foraminal stenosis) or through chemical interaction with nerve fibers (chemical radiculitis). Barring these occurrences, herniations should remain asymptomatic and should not become pain problems for the patient. Learn all about the many causes and contributors to herniated discs on Herniated-Disc-Pain.Org. 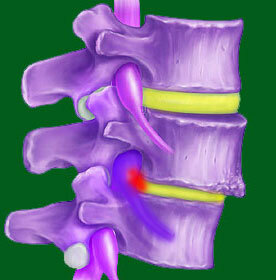 Spondylolisthesis > Consequences of Spondylolisthesis > Can Spondylolisthesis Cause a Herniated Disc?